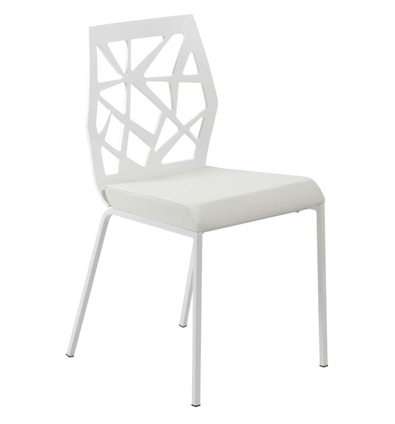 The Sophia Side Chair has a memorable modern design. 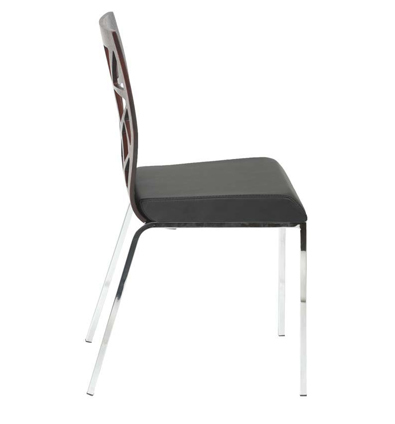 This chair has an extremely comfortable seat padded in leatherette of your color choice. The back of this chair is absolutely stunning. The decorative laser cut MDF wood back is sure to please anyone who lays his or her eyes on this fun piece. 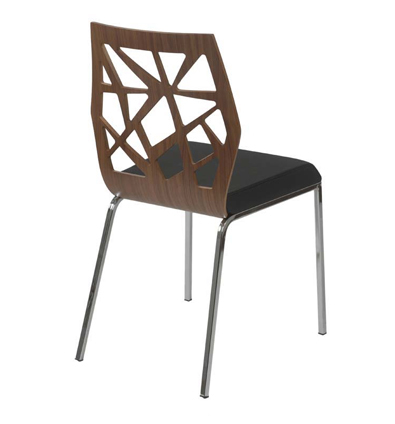 This Sophia Side Chair is terrific for office, dining, and home use. -- Please Choose an Option --	17.5"W x 20"D x 33"H: Seat 18"